SOS Children’s Villages started working with Kosovan Albanians when they fled from the conflict as refugees to Albania in 1999. As they returned to Kosovo, and in view of the terrible social conditions, SOS Children’s Villages decided to work directly in Kosovo. In the past decades, SOS Children’s Villages has continued to support Kosovan families and children through family-based care, kindergartens and social centres in the capital city of Pristina. A young girl growing up in the care of SOS Children’s Villages in Pristina (photo: SOS archives). Kosovo has around 1.8 million inhabitants (2014 est). The majority of the population are Albanian Kosovars, and there are Serb, Bosniak, Gorani, Roma, Turk, Ashkali and Egyptian minorities. The current Republic of Kosovo came into existence after the disintegration of the former Yugoslavia and the Kosovo conflict between the Kosovo Liberation Army and the Yugoslav authorities in 1998-99. The Republic of Kosovo declared its independence in 2008; it has been recognised as an independent state by 110 United National countries and is a member of the International Monetary Fund and the World Bank. In recent years Kosovo has started negotiations so that it can become a member of the European Union. The Kosovan economy has been improving in recent years. However, poverty is persistent and widespread. 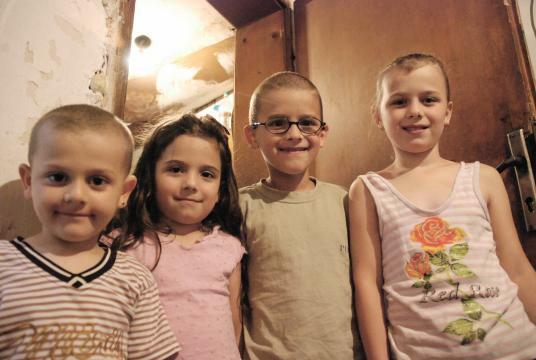 Kosovans have a low standard of living, and around 46 per cent live on less than €1,42 a day, with 17 per cent unable to meet basic nutritional needs. Households with elderly people, disabled members, those that are female-headed or with children are disproportionally represented among the poverty-stricken. The unemployment rate is around 45 per cent; ethnic minorities, women and young people are most affected. This high unemployment rate encourages migration abroad in search of a better life. It is estimated that around 15 per cent of the gross domestic product comes from Kosovans living abroad – mostly in Germany, Switzerland and the Nordic countries. In some cases, 70 per cent of a family’s income comes from remittances from members living abroad. Organised crime continues to be a problem; these groups are involved in money laundering, arms trading and the trafficking of drugs and humans. The International Organisation of Migration states that Kosovo has one of the highest figures for human trafficking victims in Europe. According to international agencies, minorities are discriminated against. Segregation is found in terms of health, employment and education. Regarding the latter, ethnic minority children have a comparatively low enrolment rate (at 77 per cent) when compared to the general population school attendance rate (at 98 per cent). Kosovo is a young society: 27 per cent of the population is under the age of 14 and over half is under the age of 25. Poverty particularly affects children: five per cent of children are malnourished. The under-five mortality rate is estimated to be 69 per 1000 births (the EU average is 4.66 per 1000 lives). The rate of tuberculosis and hepatitis are higher than in other countries in the region. 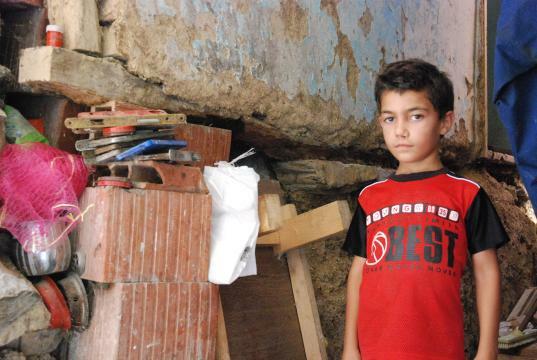 Children have been forced to work in order to contribute to the family’s income. The number of young children in pre-school education is alarmingly low. The situation improves as the children get older, especially as the government has invested in schools recently. However there is still a lack of facilities in some areas. Furthermore, the level of education varies according to ethnicity, gender and place of origin. In rural areas 14 per cent of women are illiterate (in comparison with four per cent of men). In addition, only ten per cent of children with special needs have access to special schools. Family-strengthening programme: Our social centres work in cooperation with local agencies in order to assist children who are at risk of losing the care of their family. Each family has different needs but we often provide them with material goods and with access to services. We also offer support and counselling, and help parents find a job. Care in families: Children whose parents cannot take care of them will find a loving home in one of the SOS families in SOS Children's Village Pristina. The children grow up with their brothers and sisters in SOS families. Care for abandoned babies: Due to the high number of babies who are abandoned at birth in hospitals, we set up special SOS families to care for them until a long-term solution can be found.